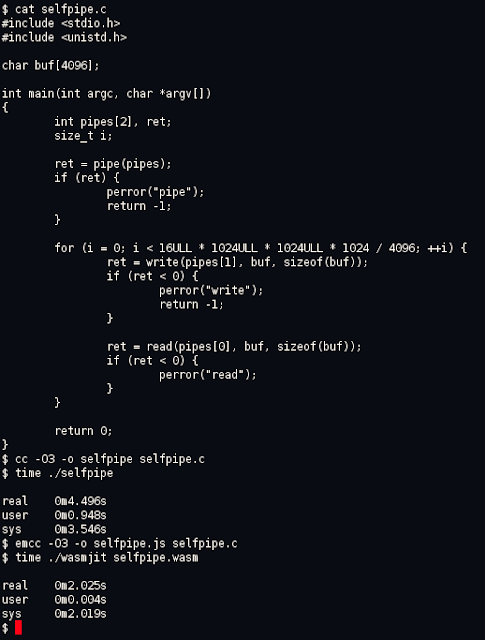 Wasmjit is a portable WebAssembly runtime that primarily targets Linux kernel module, and currently supports x86_64, running a subset of Emscripten-generated module within the Linux kernel as a kernel module. It comes with host environment for running user-space on POSIX systems, which will allow the running of WebAssembly modules without requiring to run entire browser. Wasmjit is written in C90, and with improved performance to run WebAssembly modules in kernel-space (ring 0), which provide access to system calls as normal function calls, and eliminates user-kernel transition overhead. 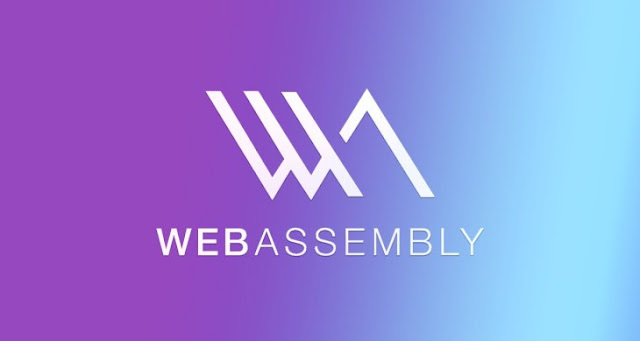 It's principal aim is to serve as a portable and embeddable runtime to power WebAssembly just as SQLite powers embedded databases, allowing developers to easily embed Wasmjit instead of building their own runtime. And the Provision of a kernel-mode runtime for WebAssembly will in turn help to increase performance for system-call heavy loads, which would translate to savings for companies with heavily trafficked websites. There is a plan to eventually include Wasmjit in the mainline Linux kernel, though it can function as an out-of-tree module. Albeit, Wasmjit is still in the early stage, the task now is to make it capable of running “real” programs, such as production-grade servers, and the integration of a runtime in the kernel could alter the direction of the computer industry for good, thus allowing simplified distribution for closed-source applications. If you wish to give it a spin, Wasmjit is now available for download from the project’s GitHub page, with detailed setup instructions and requirements.